The world’s second most used subway system is also amongst its most beautiful. Nearly 7,000,000 people ride the Moscow Metro Subway each day, zipping through 190 miles of tunnels that stretch as low as 276-feet below the surface. While some of its stations are nondescript, others are magnificent, ornate works of classically-influenced design. 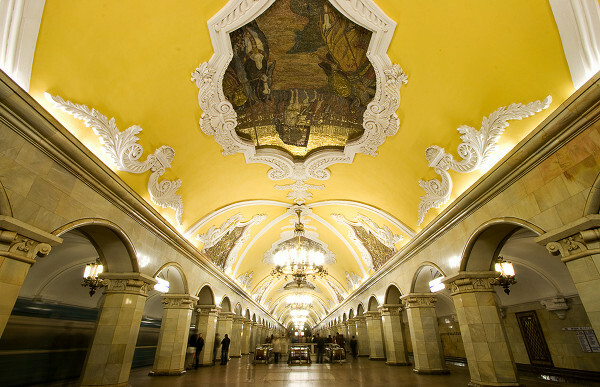 Take for example the Komsomolskaya Metro Station in Moscow, shown above. This gem of underground architecture was built in the 1930s and remains one of the world’s most lasting, most beautiful subway stations.